As Thanksgiving approaches, Five -0 investigates the murder of a secret service agent just as the President travels to Oahu. Also, McGarrett’s Aunt Deb visits, bringing with her a shocking secret, on HAWAII FIVE-0, Friday, Nov. 22 (9:00-10:00 PM, ET/PT) on the CBS Television Network. 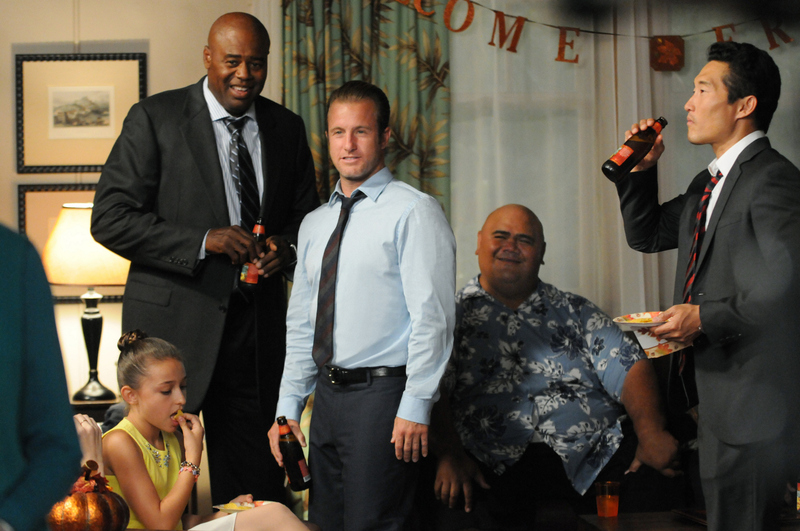 Pictured (L-R) Chi McBride as Captain Lou Grover, Scott Caan as Danny “Danno” William, Taylor Wily as Kamekona and Daniel Dae Kim as Chin Ho Kelly Photo: Norman Shapiro/CBS ©2013 CBS Broadcasting, Inc. All Rights Reserved.